Pest description and damage Dull red beetle, 0.25 inch long, with black undersurface, head, and legs, and long snout. One form is entirely black. Adults make egg punctures in buds, which may fail to open. If flowers are not available, they may feed on and kill the tips of the growing shoots. 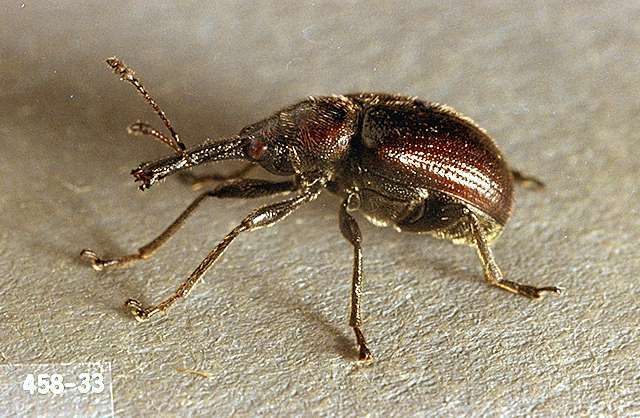 Typically, this pest does not jeopardize the overall health of the plant; however, when damaged flower buds open, the multiple petals will have a hole where the weevil chewed into the bud. Biology and life history The insect overwinters as a larva in the soil and pupates in the spring. The adult beetle emerges in spring to feed on the host plant. 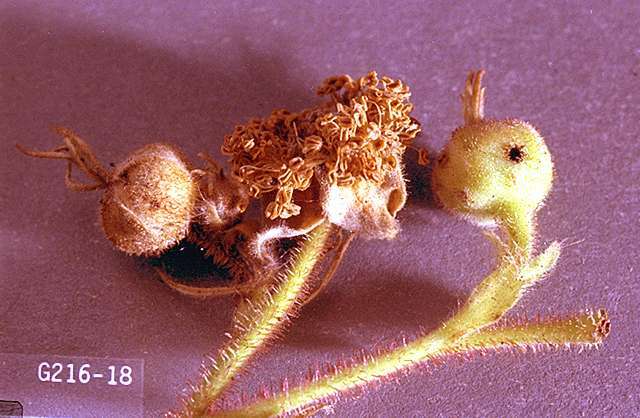 Females lay eggs on the flower buds. The larvae feed on reproductive parts of the flower, then drop to the soil to overwinter. Pick off adults when seen.